ROSS, Sir GEORGE WILLIAM, educator and politician; b. 18 Sept. 1841 near Nairn in Middlesex County, Upper Canada, son of James Ross and Ellen McKinnon; m. first 1862 Christina Campbell (d. 1872), and they had three daughters and two sons; m. secondly 17 Nov. 1875 Catherine Boston (d. 1902) in Lobo Township, Ont., and they had a son and three daughters; m. thirdly 8 May 1907 Mildred Margaret Peel in Toronto; d. there 7 March 1914. In 1831 James Ross, a shoemaker in Tain, Scotland, immigrated to Upper Canada with his wife, their four children, and two nieces. He purchased land in Middlesex in what would become East Williams Township. Born in 1841, the third son among eight children, George W. Ross perceived perhaps that his father’s moderate success was unlikely to advantage him and all his siblings. Or, experiencing the struggle of pioneer farming, he may have concluded that he was unsuited for agricultural life. He left in his teens to obtain an education and teach. After acquiring a third-class certificate in 1857, Ross began teaching in the log school where he had been a pupil. Two years later he qualified for a second-class certificate. In 1866 he mounted what he termed a “public ‘crusade’” against the system of local superintendents, who, he argued, were lax in visiting schools and advising teachers. Instead, he advocated a county superintendency. Ross left teaching in 1867, when he bought the Strathroy Age from William Fisher Luxton*. Eking out a living, he sold it in 1868 or 1869 and purchased a partnership in the Seaforth Expositor, which he retained for an even shorter time. In 1868 he was made school superintendent for East Williams, and the next year he entered the Toronto Normal School. After he obtained a first-class provincial certificate in 1871, he was appointed inspector for east Lambton County. Ross also studied law, starting in the early 1870s, and in 1883 he would receive an llb from Albert College in Belleville. From 1876 to 1880 Ross served on the Department of Education’s central committee of examiners. Originally established to certify teachers, it had been assigned administrative and policy duties by Adam Crooks*, Ontario’s first minister of education. Ross chaired its subcommittee on model schools and assumed responsibility for them as provincial inspector and for preparing the model school syllabus. Conservative critics accused the central committee of authorizing textbooks and work-books that its members had written, Ross’s contribution being a book of dictation exercises. Despite its brevity, Ross’s newspaper work had confirmed his interest in politics. He was nominated to run for the House of Commons in 1867, and in the provincial election of 1871 he campaigned in Middlesex West for Alexander Mackenzie*, at the time an mp and the federal Liberals’ unofficial leader. Recruited to contest Middlesex West in the dominion election of 1872, Ross hesitated. He was inclined to the provincial legislature, where he felt he stood the best chance to rise. He also worried about his county inspectorship, since Egerton Ryerson*, Ontario’s chief superintendent of education, had questioned the propriety of his candidacy and had urged Mackenzie to have him resign. Once he was elected, however, any conflict of interest was forgotten. The life of a backbencher held little appeal for Ross, who rarely participated in debate. When he did speak, on the Pacific railway or on tariff policy, he merely reiterated his party’s positions, though he did so with skill. On prohibition he was more creative. In 1873 he served on, and in 1874 chaired, a select committee which favoured prohibition, but he astutely recognized the damage that could be done to any party advocating restrictions that exceeded those required by public sentiment. Although he moved a resolution in 1875 in support of prohibition, in 1877 he opposed a similar motion on the grounds that “steady work” outside parliament would advance the cause more effectively. He therefore defended Richard William Scott’s Canada Temperance Act of 1878, which allowed for local option. Ross sat in the commons for 11 years. His election in 1882 was successfully protested in October 1883. Rather than try to regain his seat, Ross accepted the invitation of Oliver Mowat*, premier of Ontario, to join his cabinet as minister of education. 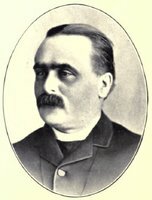 He was elected for Middlesex West at a by-election on 14 Dec. 1883. Mowat’s first choice had been George Monro Grant*, the principal of Queen’s College in Kingston, but Grant had insisted that education be removed from the political realm and Mowat did not want education to revert to the sort of bureaucratic fiefdom that had existed under Ryerson. In Ross, Mowat found a minister who was acceptable to the teaching profession and could carry a marginal riding, and who could administer a department in ways that would extend state authority. Ross’s predecessor, Crooks, had made some progress in wresting control from the department’s bureaucracy, though ill health and the recalcitrance of his deputy, John George Hodgins, impaired his effectiveness. Among Ross’s first initiatives was a new set of internal regulations in April 1884, which diminished Hodgins’s authority by giving the minister responsibility for personnel, purchasing, reports, and correspondence that was not strictly internal. His Public Schools and High Schools acts of 1885 stipulated formal ministerial control and legislative approval for all regulations pertaining to schools and teachers. The talent that would be drawn to the department was remarkable – among the influential educationists recruited were John Millar* and John Seath. Though it included men of different political persuasions and many with difficult personalities, Seath for instance, they accepted ministerial responsibility. Secure within the management of his department, Ross proceeded to create the Liberal alternative to Ryerson’s model. For Ryerson free public schools constituted a total system. Those destined to go on would prepare for university and the professions in the tuition-charging high schools. Ross, on the other hand, argued that an integrated system, from kindergarten (introduced in 1883 with Crooks’s support) to university, provided “the great stairway of learning” necessary for meritocratic rise. Each step, Ross maintained, was worthy of attainment but it should also qualify a student for the next step. Under this system, departmental examinations at all levels took on greater significance as accreditation. Ross applauded the growing desire among students who had no intention of going further to take entrance and leaving exams. As he maintained, “Every certificate granted has a commercial value.” He reported with pride that in 1893 his department had issued nearly 750,000 examination papers for various levels of certification. The objection that uncontrolled certification might produce more teachers, lawyers, or doctors than could be gainfully employed offended him as an élitist response. “I am not prepared to admit that the son of the farmer or mechanic should be restrained in his aspirations,” he retorted. Implementing the “educational ladder” meant overcoming institutional self-interest, especially among the universities. In claiming the state’s authority to qualify students for entry into the universities and the professions, Ross sought to introduce common matriculation requirements, components of which the department recognized for the non-professional or academic certification of teachers. Treating the University of Toronto as the provincial university, in the regulations of 1885 he tied the high-school course of study to the matriculation examinations of that institution. He then persuaded it to accept exams for second- and first-class teaching certificates as the equivalent of junior and senior matriculation. He thus acquired for his department the right to judge through its own examinations, not those set and marked by university officials, whether provincial educational standards were being met. In an earlier move to exert control, in 1884, Ross had entered discussions on university federation. Originally suggested by William Mulock*, vice-chancellor of the University of Toronto, as a way to enhance its claims for greater funding, federation was seen by Ross as a way to diminish the sectarian nature of Ontario’s universities; he made it clear that the state would not support denominational teaching. He therefore translated the proposal into legislation in 1887. Federated denominational institutions, if located in Toronto, could draw upon the provincial university for instruction in arts, while providing training in theology and other subjects judged central to a religious education. The sciences and professional training would be reserved to the University of Toronto. In return, the colleges would not grant degrees in areas other than theology. Wycliffe College accepted federation in 1889, Knox College and Victoria University [see Nathanael Burwash] the next year, but St Michael’s College negotiated special terms and Trinity, Queen’s, and Toronto Baptist College (chartered as McMaster University in 1887 over Ross’s opposition) all refused. Ross’s desire for an integrated system was complicated by provisions for minority education. The separate schools and bilingual education drew sharp criticism from the Conservatives, whose English-only policy was reinforced by Protestant reaction in the late 1880s and 1890s to the Jesuit estates question [see D’Alton McCarthy*; François-Eugène-Alfred Évanturel*]. Ross none the less accepted the constitutional right of Catholic parents to separate schools. His policy, he argued repeatedly, was “to promote efficiency” in the separate system, improve its fiscal base, and make it functionally more like the public system. For this reason he amended legislation in 1886 to facilitate the allocation to the separate schools of taxes paid by Catholic tenants and corporations with Catholic shareholders. Other changes made the school year conform to that of the public system and gave separate-school trustees comparable responsibilities. Maintaining that Catholics were overlooked when municipal councils made appointments, Ross obtained legislation in 1885 which permitted separate-school trustees to appoint a Catholic to the local high-school board. Ross offered only what had been given to public trustees. Critics also ignored public-school practice when they denounced Ross and Mowat for not extending the secret ballot to the election of separate-school trustees. Though permitted since 1885 when requested by public-school electors, the ballot was by no means widely used. As anti-Catholics vented their anger over the lack of democratic electoral practice, pressure built on the church, which reluctantly acquiesced in 1894. Ross’s critics tried to make the case that there had been collusion between Liberals and Catholics, but he had, in fact, adopted a course of moderation. He opposed Catholic demands, such as the appointment of a deputy minister for separate schools, that were not compatible with greater state authority. He insisted too on authorizing the texts to be used in separate schools, making teachers meet the certification standards of the public system, and inspecting the schools. To its list of complaints about minority education, the Protestant opposition added bilingual instruction. French-language schools dominated debate in the legislature in the spring of 1889 and were a central issue in the election of 1890. But Ross refused to end French-language instruction. When he spoke in March 1889 of the requirement for education to “assimilate the people and the languages of other nationalities,” he did not necessarily anticipate a unilingual nationalism. If the use of a foreign tongue was made “a stigma . . . which precludes . . . the full privileges of citizenship,” he reminded Ontarians, then immigrants would find Canada inhospitable. Since the “Anglo-Saxon race” would remain dominant in Canada, he confidently believed, linguistic unity was not essential for a patriotic citizenry. Still, stressing the much-used argument that the language of the state was English, Ross had made the study of English and teaching in English, as much as possible, mandatory in 1885; if taught exclusively, French or (in such areas as Waterloo County) German could breed sectarian and unpatriotic values. Publicly, for political reasons, Ross emphasized that French-speaking parents wanted their children to learn English. It was far more difficult to explain how their equally strong desire to have their children learn to read and write in French could be accommodated in the curriculum. He therefore attributed the slow progress in English through the late 1880s to a lack of bilingual teachers and texts. An inquiry in 1889 took the actual measure of French-language instruction. It discovered readers with Catholic content in the public schools and reported that religious instruction – Catholic in the French-language public schools and both Catholic and Protestant in the German public schools – was being given during regular hours, contrary to regulations. As well, history texts in French public and separate schools were found “written in a spirit unfriendly to the British Empire and to the development of a patriotism embracing the whole Dominion of Canada.” In reaction, Ross reminded trustees and inspectors about the regulations concerning religious instruction and authorized the introduction of the English-French readers used in the Maritimes. A model school to train French-speaking teachers, authorized in 1886, was finally opened in 1890 at Plantagenet, in Prescott County. A second inquiry, in 1893, assured Ross that English teaching and students’ proficiency had improved in both public and separate schools. The controversy over religious instruction and the enforcement of regulations pertaining to it, however, had sparked the shift of 27 schools in Prescott and Russell counties from the public to the separate system. Though Ross no doubt regretted this shift, he could take encouragement in the demands of some Catholic parents for educational improvement, as exemplified by the request of the Ottawa separate-school trustees for an investigation of their schools. The inquiry of 1893 also led to an evaluation of teaching by the religious orders, and strengthened the demands of Catholic parents that teaching brothers and sisters accept the process of certification prescribed for lay teachers. Religious instruction was not the only approach to moral education. Ross believed that the most effective means were indirect: students picked up values and influences from their surroundings and from lessons in school. Thus, authorized readers contained selections that would appeal to a child’s “moral and religious nature.” Discipline in school should mirror the family. Regulations therefore obliged teachers to exercise the discipline of a “judicious parent” and, through example, instruction, and authority, “imbue every pupil with respect for those moral obligations which underlie a well formed character.” To promote civic service, in 1885 Ross introduced Arbor Day, on which children planted trees, cleaned up the school grounds, and shaped an environment that symbolized the ideal for society. In 1896 Ross asked his public-school inspectors about the outcome of state education, namely the policies of the Department of Education over 20 years and the compulsory attendance laws of 1871 and 1891. Had the moral standing of teachers and students improved? The consensus was positive, but some questioned whether improvement had penetrated to the true, inner characters of individuals. Though surveillance of both children and teachers was more effective, attendance remained irregular; only 50 per cent of school-age children attended in 1887. Aware perhaps of the limits of moral education, Ross introduced more punitive disciplinary measures. In 1891, for instance, police commissions or school trustees were enabled to appoint truant officers. In his report of 1898 Ross speculated that even more rigorous measures were needed. Much of what Ross accomplished as minister of education had been started by his predecessors. The assertion of ministerial responsibility, the enforcement of school attendance, the attachment of secondary and post-secondary education to the public system, the professional training of teachers, and the preparation of textbooks under departmental supervision completed a generation of school promotion in Ontario. To these major achievements Ross added a number of specific measures that extended departmental and ministerial authority: compelling through order in council in 1884 the admission of women to the University of Toronto [see Sir Daniel Wilson*], supporting kindergartens and developing specialized training for their teachers, introducing temperance education on an optional basis in 1885, encouraging manual training and domestic science, and promoting technical and adult education. But Ross’s most important contribution was administrative. Amendments shortened the legislation covering education and gave him the authority to use departmental regulations to make the educational ladder operate more efficiently as a system of accreditation. Ontario’s schools had provided Ross in his youth with a way out of country life and limited prospects. As industrialization and urbanization transformed the province, he was satisfied that others too could demonstrate strength of character – for him the prerequisite for success – by meeting the challenges set, evaluated, and certified by the Department of Education. Conservative leader James Pliny Whitney, however, judged that Ross’s concern with accreditation had impaired the ability of elementary schools to provide adequate training for the children of the “poorer classes,” at the same time as departmental parsimony had left the secondary system and the University of Toronto underfunded. Perceiving a weakness in Liberal policy, from 1897 Whitney shifted opposition criticism to these areas, away from minority rights. As well, Ross’s refinement of Ontario’s educational system was receiving mixed assessments at meetings of the Dominion Educational Association and other professional bodies. Within the system his call for more coercive discipline implicitly questioned the effectiveness of the system in forming character among students. Ross responded eloquently, if defensively, reminding critics that the Ontario model had been adopted by other provinces. “I think we have gone about as far as we need to go,” he concluded in 1899. No doubt too he took satisfaction in having his accomplishments acknowledged by honorary degrees from the University of St Andrews in Scotland (1888), Victoria (1892), and the University of Toronto (1894); similar honours would be granted by McMaster (1902) and Queen’s (1903). 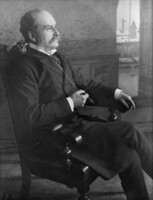 With the retirement on 20 Oct. 1899 of Arthur Sturgis Hardy*, premier since 1896, Ross as senior minister became premier and provincial treasurer. He faced a difficult situation. Under Hardy the strength of the Liberals had seriously declined, even though the province was in good shape economically. The extension of Ontario’s northern boundaries, the assertion of provincial rights over crown lands, and the development of resources had produced a revenue base which allowed the government to build a surplus. The opening of northern Ontario promised a revival of the pioneering era that had sustained Liberalism under Mowat. At the same time Ontario’s schools aimed at instilling in the province’s youth the self-discipline, individualism, and civic morality that Liberalism had associated with the farmer and the artisan. But Ontario had changed: it was increasingly urban and the urban population was concentrating in the largest centres. Ross nevertheless moved to focus his government’s attention on the north – “New Ontario” – and on the resource sector. In the first year of his administration Ross commissioned an extensive survey of northern Ontario. It lauded the potential of the northeast’s Great Clay Belt as a new frontier for settlement. The premier subsequently delivered promotional speeches, wrote to British newspapers encouraging immigration, pressed the federal government to direct agricultural immigrants to the north, and set up a bureau of colonization. To attract capital, his government continued to distribute generously rights to exploit resources and offered subsidies for rail construction. Pulpwood-cutting concessions were sold privately, not at public auction as demanded by the Conservatives. Mining properties could be held on terms suited to the financial means and speculative interest of the investor, and in 1900 the government eliminated royalty payments. That it should undertake the construction, in 1903, and later the operation of the Temiskaming and Northern Ontario Railway did not necessarily contradict its rejection of public enterprise in other sectors: the line was analogous to government-built colonization roads and drew enthusiastic support in the north and from Toronto business. The stimulation of manufacturing proved more difficult. In 1900 Ross extended the manufacturing condition imposed on pine by the Hardy government to require that spruce pulpwood cut on crown land be processed in Canada. Though several pulp-and-paper companies attempted to establish operations, the recession of 1903 and the American tariff on Canadian pulp, paper, and newsprint contributed to their collapse. Changes to the Mines Act, also in 1900, levied fees on nickel ore that would be remitted if it was refined in Canada. Interested American capitalists appealed for federal disallowance, charging that the province had no authority to regulate trade. 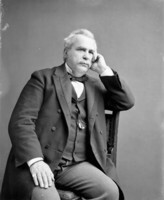 Though Liberal Prime Minister Sir Wilfrid Laurier agreed, he hesitated for political reasons to disallow the legislation, preferring to have Minister of Justice David Mills* communicate only the grounds upon which it might be set aside. Ross angrily proposed submitting the matter to the courts, but he soon had second thoughts: unlike trees cut on crown land, ore was extracted from private property and the courts could rule against the province. As well, he may have concluded that Attorney General John Morison Gibson*, who was also the solicitor for a syndicate promoting a smelter in Hamilton, had exaggerated the viability of nickel refining in Canada [see Andrew Trew Wood*]. Ross never referred the act to the courts nor did he request the lieutenant governor’s assent. 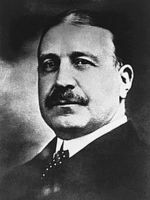 Pride of place in Ross’s industrial ambitions for the north was held by Francis Hector Clergue*’s complex of hydroelectric, railway, chemical, pulp-and-paper, and iron and steel companies at Sault Ste Marie. Having showered the enterprise with bonuses, Ross felt obliged to step in when Clergue failed to pay his workers and creditors in September 1903. Militiamen were sent from Toronto to control demonstrations and on 1 October Ross guaranteed the overdue wages of Clergue’s umbrella company. In March 1904 the government loaned $2 million to a reorganized corporation. 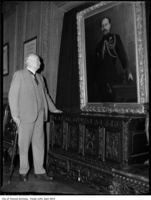 Challenged by Conservative leader J. P Whitney, who warned that the province could end up taking it over, Ross rejected the prospect. The government could always sell the property. For Ross, the responsibility of the liberal state was only to create a climate within which individual initiative could thrive. Ross similarly rejected provincial ownership of a utility to generate and transmit hydroelectricity from Niagara Falls. He saw no reason to assume public debt for a service which could be enjoyed only by a small portion of the population. Preferable were franchises that could generate public revenue. Rights at Niagara had initially been assigned in 1892; in 1900 the government signed a second agreement, with an American syndicate. Three years later a third franchise was granted, to the Electrical Development Company, controlled by Toronto entrepreneurs William Mackenzie*, Frederic Nicholls*, and Henry Mill Pellatt*. Despite pressure from manufacturers and municipal reformers, Ross refused to reserve sites for a power plant owned by a municipal co-operative, although legislation in 1903 did allow for a municipal commission to undertake transmission at its own expense. A charge of corporate influence seemed plausible because Ross at the time was president of Manufacturers’ Life Insurance Company, which was interested in the stock of Electrical Development and on whose board Mackenzie and Pellatt also served, and J. M. Gibson was involved in another power company. Ross did nothing to allay suspicions when, in the dying days of his government, he granted the remaining generating sites to Electrical Development. The popular appeal of the public-power movement [see Sir Adam Beck*] clearly baffled Ross, and in subsequent speeches and writings he attempted with little success to grapple with the challenge of a new conception of the state. The mining and hydroelectric questions do not reveal Ross at his best. He may have allowed others, especially Gibson, too much latitude in determining the course of policy. When he could choose his associates and maintain discipline through ministerial authority, as he had done in the Department of Education, he functioned well. But, as the first among equals, he was at a disadvantage; he could not or would not command. 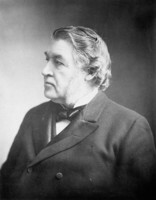 Lacking perhaps the political smartness of Mowat or Hardy, he relied too heavily for political initiative on Provincial Secretary James Robert Stratton, who was not much more than a ward-heeler, and Gibson, whose social élitism bred a disdain for the niceties of democratic procedure. In contrast to power, prohibition would have been a liability for any government. Though a long-time temperance man, Ross endeavoured to separate the issue from his electoral campaigns. The decision of the Judicial Committee of the Privy Council in November 1901 that the Manitoba prohibition act was constitutional encouraged the cause in Ontario. In February 1902, following Manitoba’s example, Ross introduced legislation which allowed prohibition should it be favoured by a number equal to a majority of those voting in the election of 1898. In a referendum on 4 Dec. 1902, the number of votes fell short. Five days later, in a speech to the Sons of Temperance in Toronto, Ross declined to take further action [see Francis Stephens Spence]. The disappointment of prohibitionists would affect the election of 1905, but of immediate significance were charges of electoral scandal. Under Mowat and Hardy a machine, directed by the Ontario Liberal Association, had operated efficiently to get the vote out and maintain the Liberals’ hold on power. During the 1890s the machine began to give way. By relentlessly protesting irregularities, Whitney skilfully made corruption a political issue. 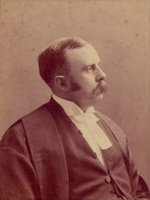 To investigate charges in the Elgin West election in 1898, Ross named a commission of inquiry shortly after assuming the premiership. Its discovery that the ballots had been burned seemed to reveal a cover-up. More damaging were the accusations made on 11 March 1903 by Robert Roswell Gamey, the Conservative member for Manitoulin. 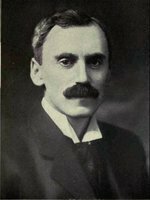 Following the election of 1902, he charged, a Liberal organizer had approached him to support the government in exchange for money and the control of patronage in his riding; he reputedly received a payment in the outer office of Provincial Secretary Stratton. Although a royal commission struck by Ross cast doubts on Gamey’s evidence and exonerated Stratton, pressure did not let up. In September 1904 a trial concerning charges arising from the by-election of 1903 in Sault Ste Marie revealed that the Liberal victor had been assisted illegally by F. H. Clergue’s Algoma Central Railway. A company steamship had transported 20 men from the Michigan side to vote under the names of dead or absent miners. Aware of plans for the deception, the Conservative candidate had complained to Attorney General Gibson, who took no action. Opinion on Ross’s involvement differed. Reporter Hector Willoughby Charlesworth* judged him “guileless,” unaware of the “unscrupulousness . . . around him,” while John Stephen Willison* believed that Ross, out of desperation, participated in what was going on. Both were probably right. Though no machine politician like Hardy, Ross knew from experience the ends to which organizers at times had to go to secure victory; he did not need to know the details of every constituency fight, only to assure that in the wake of an election controverted returns were managed to contain any damage. But going into the election of January 1905, he had to clean house; he accepted Stratton’s resignation and demoted Gibson. 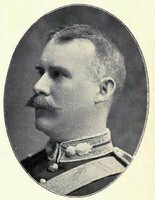 In addition, in November 1904 a new organization, the General Reform Association of Ontario, replaced the OLA, whose general secretary, James Vance, was removed as organizer. These steps, along with the premier’s confession – “We have sinned and repented and are sorry for it” – went unrewarded, as the Conservatives swept to a 40-seat majority. Moral revulsion, prohibition, and the separate schools issue all contributed to the loss, as Ross admitted. The fact was, moreover, that despite a long record of victories the Liberal hold on office, even before Ross’s short term, rested on a popular vote only marginally higher than that of the opposition. In the election of 1902 the party had won a majority with less than half the vote, and a shift in a few ridings in 1898 or 1902 could have produced much different results. Furthermore, although the Ross government claimed credit for the long history of Liberal legislation on industry, its record, beyond its commitment to resource development, was modest. Measures such as bonuses to the sugar-beet industry, the promotion of the dressed-beef trade, and the appointment of a good-roads commissioner and the allocation of a million dollars for highway improvement, though useful programs, likely did not arouse much partisan enthusiasm. With hindsight, Ross would state in Getting into parliament and after (Toronto, 1913) that there had been nothing left to “appeal to the vivid conceptions of Government which attract the masses.” Liberalism had exhausted itself in Ontario. Ross led the opposition through two sessions before he happily accepted a Senate seat on 15 Jan. 1907. Perhaps because some party veterans questioned his executive ability and commitment to “true Reform principles,” the cabinet position Ross desired did not materialize, but other honours did: a knight bachelorhood in 1910 and leadership of the Liberals in the Senate in 1911. 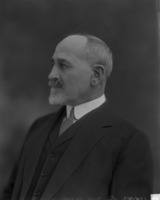 Advancing a principled role for the Senate as a trustee of provincial rights and a defender of empire, Ross would lead its obstruction of the Conservative government of Robert Laird Borden* after 1911. 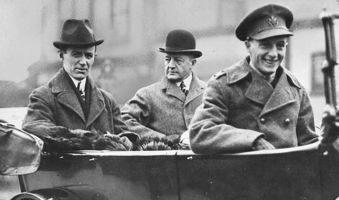 At the practical level, although Ross wished for closer relations within the British empire, he doubted the British commitment to defend Canadian interests, especially in negotiations with the United States. Imperial federation interested Ross as the final step in the devolution of sovereignty, from the British parliament to an imperial parliament of Britain and the dominions, but the prospect of federation of this sort, he claimed, was distant. In the interim, more modest measures would satisfy him, among them the promotion of capital investment and immigration to Canada, and preferential trade. The British prejudice for free trade, he suggested, could be overcome by directing the revenue from preferential tariffs to imperial defence. After 1909 the issue of imperial defence generated deep partisan divisions. Ross strongly supported Laurier’s Naval Service Bill of 1910, which called for the establishment of a small Canadian navy that would contribute to imperial defence in times of emergency. Following Launer’s defeat in 1911, the Liberal-dominated Senate stubbornly opposed the Borden government’s legislative agenda. Bill after bill was rejected or amended; most significant was the Naval Aid Bill. Unable to foresee any emergency that would justify a grant of $35 million to the Royal Navy and angered by Borden’s inaction in establishing a Canadian navy, the Liberals dragged out debate in the commons from 5 Dec. 1912 until May, when the bill passed under closure. 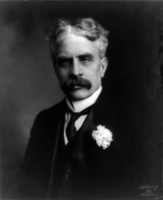 The Conservative leader in the Senate, James Alexander Lougheed*, negotiated an agreement with Ross whereby the government would accept an amendment to provide appropriation for a Canadian navy if the Senate would pass the bill. Ross had wanted a stronger commitment to an independent navy, but he privately favoured the bill as a “contribution for the protection that Britain has afforded us for the last 150 years.” As well, he had grown unhappy with Laurier’s naval policy and had talked about leaving the party over reciprocity. Furious that the commons had been gagged, the other Liberal senators and Laurier rejected any compromise. Ross accepted his party’s position and led the Senate opposition in forcing the bill’s return to the commons on 30 May 1913. As Ross feared, the defeat provoked demands for Senate reform. When Borden’s proposal to enlarge the Senate with more representation from the west was rejected by the upper house, the prime minister seriously contemplated a plebiscite on an elected senate. In defence, Ross assembled ideas he had advanced on various occasions and published them as The Senate of Canada . . . (Toronto, ). More than partisan rhetoric, it advanced a credible ideological justification. Only by agreement among the original provinces could the Senate be reformed, he argued. In opposing Senate reform and, before that, public ownership, Ross adopted positions which appeared out of sympathy with popular democratic sentiment. In his ideal society, men took individual initiatives and enjoyed the fruits of their efforts. It was, he stated in the Senate in May 1913, “a fact that the most successful men in our professions, and in commercial life, have been raised upon the farm up to a certain age, and with that strong mental and physical push which they possess, because of their environment, they have been able to grapple more successfully with the problems and the difficulties that they encountered.” Such had been his own experience. But by the 20th century an increasingly smaller proportion of the population had been born on the farm, and the values associated with that background had lost much of their political appeal. The naval debate was Ross’s last major campaign. On occasion the rheumatism which had afflicted him since the 1880s kept him away from the Senate, and in the spring of 1913 he carne down with a mild attack of pneumonia. On 24 Jan. 1914 he collapsed suddenly while speaking to the Senate. Rushed back to Toronto, he remained in hospital until his death on 7 March; he was survived by his third wife, two sons, and six daughters. George William Ross’s speeches at the federal level are contained in Can., House of Commons, Debates, 1875–83, and Senate, Debates, 1907–14. 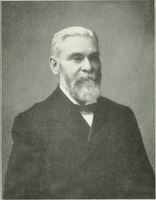 His reports as minister of education for Ontario are in Ont., Legislature, Sessional papers, 1884–1900. Ross’s other publications, including addresses, articles, and books, deal with education, prohibition and temperance, imperial matters, and reciprocity. 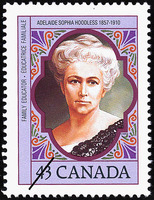 Most of those issued up to 1900 are listed in CIHM, Reg., and in Canadiana, 1867–1900. Notable among his works are the following: Scotland and her memories: address delivered at Montreal, on Hallowe’en, October 31st, 1890 (Toronto, 1891); The schools of England and Germany ([Toronto? ], 1894); The school system of Ontario (Canada): its history and distinctive features (New York, 1896); The universities of Canada, their history and organization: with an outline of British and American university systems ([Toronto], 1896; also issued as an appendix to the report of the minister of education for 1896); “Education in Ontario since confederation,” in Canada, an encyclopædia (Hopkins), 3: 174–79; Addresses delivered by the Hon. G. W. Ross during his recent visit to England and at the meeting on his return ([n.p., 1901? ]); “The future of Canada,” in Canadian politics; with speeches by the leaders of reform and progress in Canadian politics and government, ed. J. R. Long (St Catharines, Ont., 1903); The Liberal platform discussed by Hon. G. W. Ross at Barrie ([n.p., 1904? ]), 177–87; Reply to the manifesto of the executive committee of the Ontario branch of the Dominion Alliance ([Toronto], 1904); Shall Canada be always a dependency of the empire? 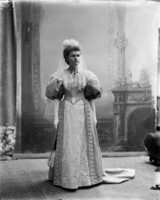 : extension of the address delivered at the banquet tendered to Viscount Milner by the National Club, Oct. 28th, 1908 ([Toronto?, 1908? ]); Reciprocity; address delivered to members of the Toronto Board of Trade at luncheon, November 3rd, 1910 ([Toronto], 1910); Opposes reciprocity treaty: Sir Geo. W. Ross in speech before Toronto Board of Trade urges many reasons why Canada should not sign a trade treaty with the United States ([Toronto, 1911? ]; copy in AO, Pamphlet Coll., 1911, no.11); and his autobiography, Getting into parliament and after (Toronto, 1913). AO, RG 2; RG 3-1. NA, MG 26, B; G; MG 27, II, D14; MG 29, D38; E29. Globe, 5 Sept. 1877. Mail (Toronto), 22, 25 Aug., 6 Sept. 1877; continued as Toronto Daily Mail, 19 Feb. 1885; 17–18 Nov., 1–4, 7, 11 Dec. 1886. D. S. Cameron, “John George Hodgins and Ontario education, 1844–1912” (ma thesis, Univ. of Guelph, Ont., 1976). 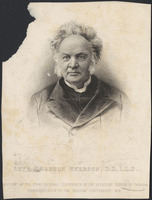 Douglas Dart, “George William Ross – minister of education for Ontario, 1883–1899” (ma thesis, Univ. of Guelph, 1971). A. M. Evans, Sir Oliver Mowat (Toronto, 1992). Chad Gaffield, Language, schooling, and cultural conflict: the origins of the French-language controversy in Ontario (Kingston, Ont., and Montreal, 1987). R. D. Gidney and W. P. J. Millar, Inventing secondary education: the rise of the high school in nineteenth-century Ontario (Montreal and Kingston, 1990). C. W. Humphries, “The Gamey affair,” OH, 59 (1967): 101–9; “Honest enough to be bold”: the life and times of Sir James Pliny Whitney (Toronto, 1985). Nelles, Politics of development. Ont., Legislature, Sessional papers, 1878–82, reports of the minister of education, 1876–81; Royal commission re Gamey charges, Report (Toronto, 1903). 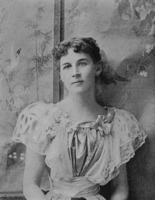 Margaret Ross, Sir George W. Ross: a biographical study (Toronto, 1923). R. M. Stamp, “Empire Day in the schools of Ontario: the training of young imperialists,” JCS, 8 (1973), no.3: 32–42; The schools of Ontario, 1876–1976 (Toronto, 1982). B. D. Tennyson, “The cruise of the Minnie M.,” OH, 59: 125–28. David G. Burley, “ROSS, Sir GEORGE WILLIAM,” in Dictionary of Canadian Biography, vol. 14, University of Toronto/Université Laval, 2003–, accessed April 24, 2019, http://www.biographi.ca/en/bio/ross_george_william_14E.html.